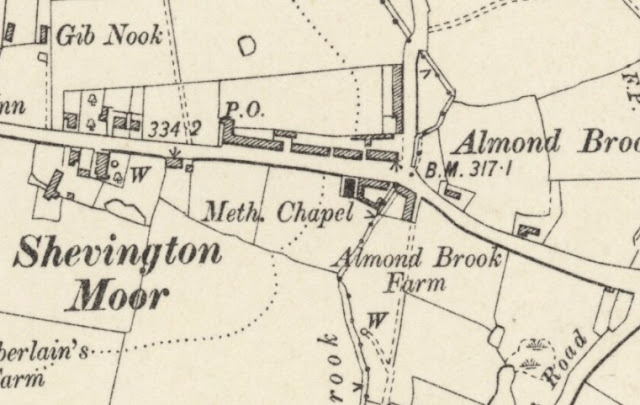 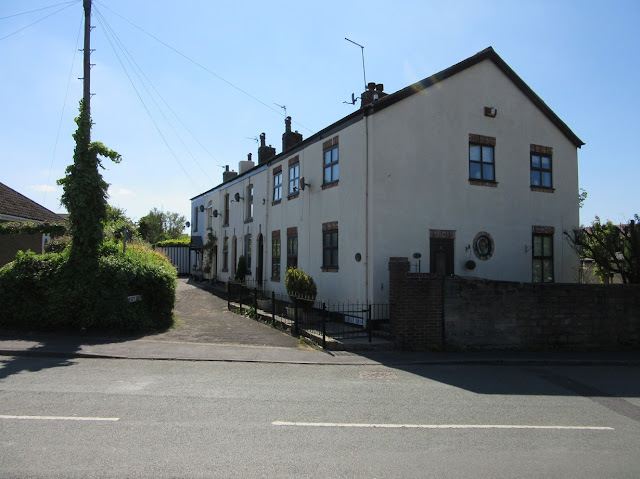 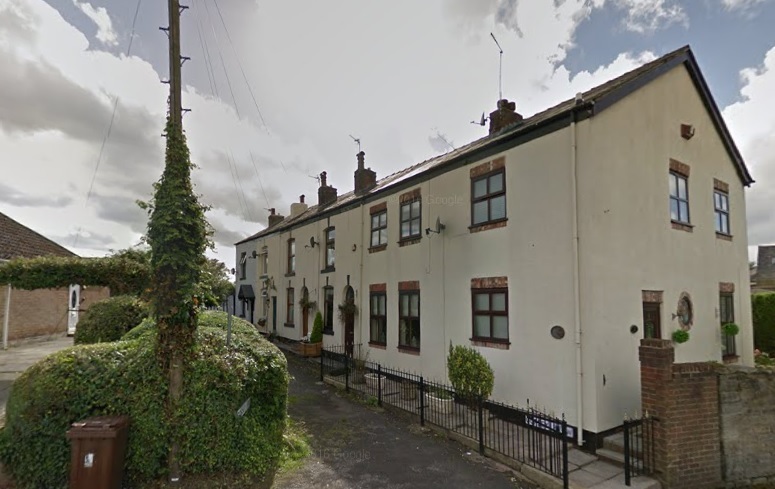 The Almond Brook Beer House was only a short-lived enterprise in the 1850/60's and was located in one of the row of old weaver's/collier's cottage on Shevington Moor opposite the junction with Old Pepper Lane. 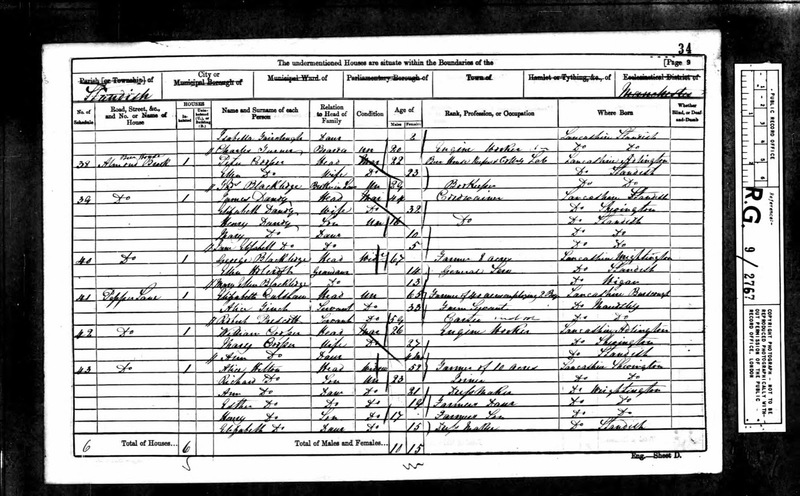 As the map above shows, the cottages weren't built in the mid-1840's but by the time of the 1861 census Peter Cooper, a colliery labourer originally from Adlington was running a beer house from his home to provide a second income. 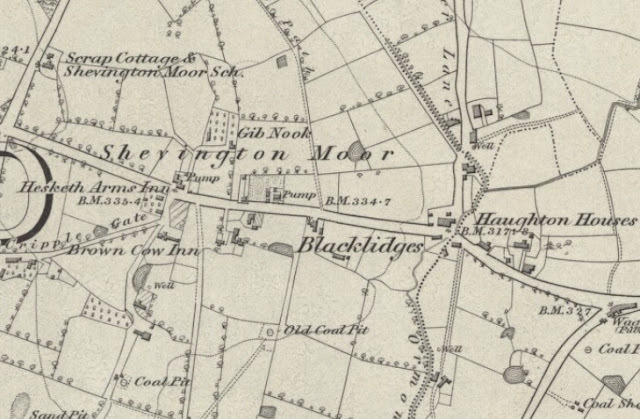 Whilst Peter and his family were still there 10 years later there is no mention of a beer house being run from this location thereafter and this was possible due to the competition nearby, which included the Forrester's Arms (originally the Rose & Crown), Hesketh Arms and Black Horse (originally the Waggon & Horses and more recently Henry Africa's then the Charnley Arms).